A disclaimer: I lost a pair of Apple AirPods right before the Liberty Neos arrived, so I was quite hopeful that these would be a solid replacement given that they're made by an awesome brand like Anker. Unfortunately, I would not recommend these as a replacement to AirPods if that's what you're after. I'll dive into the details below. Ease of use. While these are not complicated for most people to use, I would hesitate to recommend them to someone like my parents, whereas I didn't have this worry with AirPods. 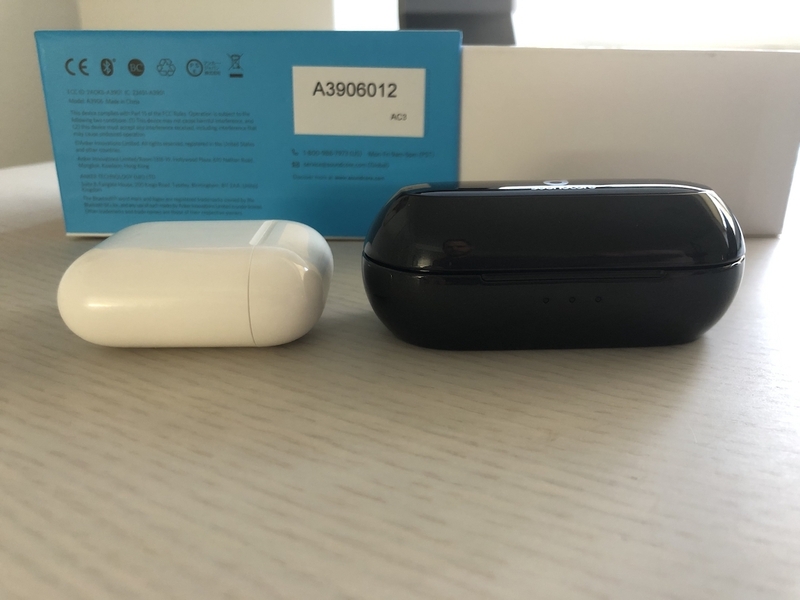 Once connected via Bluetooth, they will connect automatically when pulled out of the case (note this is different from AirPods that turn on once in your ears). The Neos do not have light sensors, so they don't automatically pause if you take them out of your ear. There have been 2 times during my 10 days of use that the left and right did not sync, so music would only play out of one side (this has never happened in a year of AirPods use). Also, even the physical element of the product has slight confusion in what ear it goes in. I find myself often putting them in the wrong ear - this is pretty hard to do with AirPods. Noise blocking. I realize this is a feature of the Neos, but I find it worth calling out that this limits the use cases I could use these earbuds for. They suction into your ear canal making it impossible to hear anything else. If you use these in an office, your teammates will need to tap your shoulder to get your attention. Some might find this level of blockage a concern when running, riding subways, with kids, and likely illegal while driving as you wouldn't be able to hear emergency vehicles. Using these for phone calls is pretty terrible because you can't hear yourself due to the noise blocking nature -- so you'll talk way too loud unless you have only one in, but that feels strange with one ear suctioned and the other not. People on the other end pointed out that it was harder to hear me vs AirPods as well. They're bulky. The battery life seems better compared to AirPods, but at the expense of portability and looks. The case is too big to carry in your pocket, and they stick straight out of our ears. Click vs. tap (AirPods) is a very noticeable difference for the functions like pause/next/previous/answer/siri. The click on the Neo is hard enough to do that you might feel uncomfortable doing it as often as you'd want because you're pushing plastic into your ear canal...it's a pretty awkward experience, whereas it feels really easy + natural to tap the AirPods (although limited in abilities vs. the Neo). To end on a positive notes about these earbuds: They sound great. Definitely better overall sound compared to the AirPods if you're listening to music. The suction aspect creates much better bass support. If you're comparing these with another set of earbuds, I would suggest comparing them to the wireless Beats and not the much more popular AirPods. The flip case + single pods are similar in style, but that's about it. Nice conparison of these products. I would have liked More pictures of the Liberty Neo. 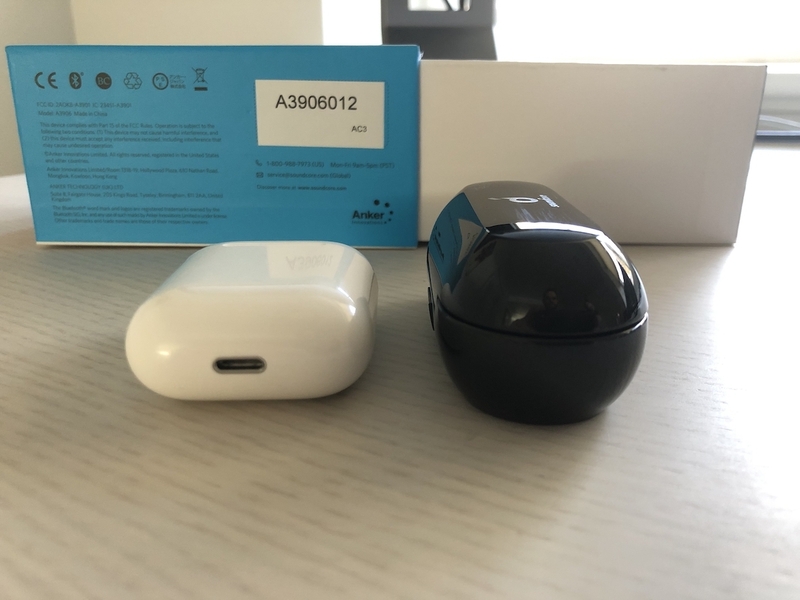 Others have said the liberty air are more similar to AirPods. I appreciate your honest approach to your review. This is just my honest opinion but the comparison to Air Pods is unfair. Seems like it was more a comparison than a review. I've never used the Neo's nor the Air pods, I'm looking at it from an outsiders point of view. Also these Neos are a different form factor then the Air Pods, even though they are both TW. A much better comparison to the Air Pods can be made with the Soundcore Liberty Air. I don't mean to be negative because you told it how you perceive it. It was well written and had great points on important aspects. 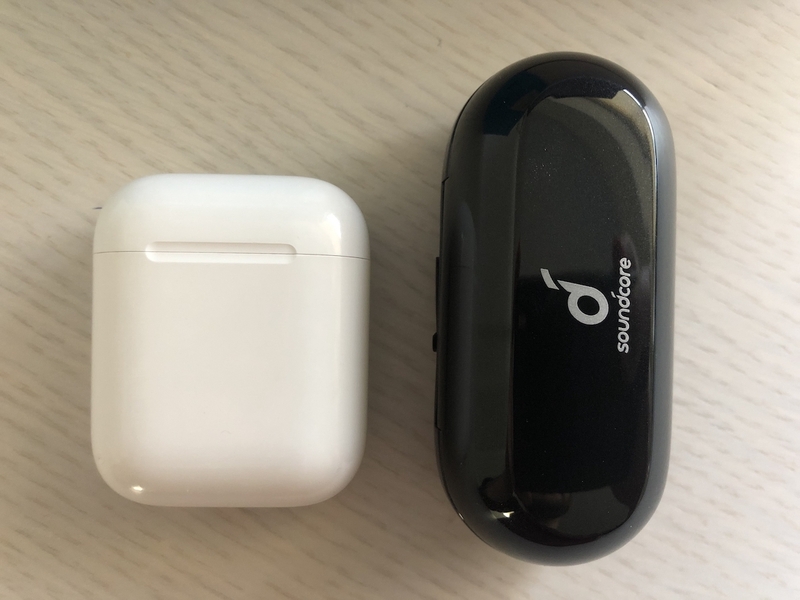 As an Airpod owner, I really appreciate your honest opinions and comparison. My main concern would be the fit in my ears. The Airpods fit very comfortably in my ears and I could use it for hours on end. But, the regular Apple earbuds.....makes my ear ache after only a short time. I wonder how the Neo would be for me though. Overall, I do like the look.....case and earbuds of the Neo. But the case is a bit bulky. Of course I understand that each (Airpods and Neo) will have their strong and weak points. I would love to get my hands on a set of Neos to find out the differences for myself. Another point that you made about it creating a suction where you can't even hear yourself is something I'm not very fond. To me, it feels like going thru a tunnel with your ears clogged. Hahaha. But until I actually get me a pair of Neos, I can't really cast a real vote for the Neo. @Anjou1888 thanks for letting me know about the Liberty Air...I think I saw it at one point but forgot it when writing this review. It does look like they still have the suction in-ear style as the Neo so much of the review around that aspect would still be relevant. Thanks for the comments, @dicejedi...I definitely get where you're coming from. I used such a strong comparison in the review because my own personal greater network is most familiar with AirPods and would likely use them as a reference point for any wireless earbuds purchase. Hey @Nhi - thanks for the reply! Fit-wise, they are just as comfortable (albeit the suction effect gets to be uncomfortable for me after long periods of time). The Neos come with multiple end sizes and ear clips that you can pop off to ensure that they fit comfortably in your ear. Are you hanging around with Tank or what dude? @tugar32 Do you have Android or iPhone? iPhone users experience audio lag more often than Android using Bluetooth headphones and speakers that are not made by Apple. If you do a YouTube search you will see many videos of people testing and showing this.